Facebook literally took the world by storm. With it, you can share your thoughts, post pictures/videos, create your own profile, share links, send private messages and many more. But one particular demand online, especially to music fanatics, is the ability to upload MP3 to Facebook. By doing this, users can play and explore songs straight on their profile. You can share audio with friends, post personally crafted audio messages and promote your own songs simply. Since Facebook doesn’t give a button for audio uploading directly, here are two possible ways to help you out. Create your free Dropbox account, for more space you can try the premium version. 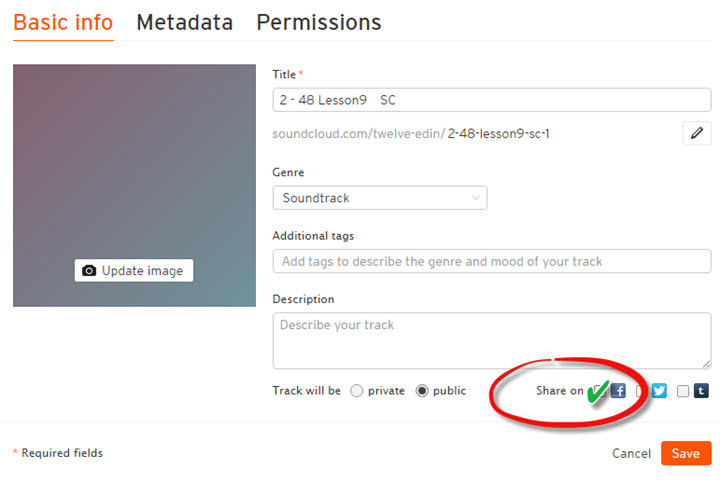 Click “Upload” icon then select the audio you wish to share on Facebook from your hard drive. When the audio upload is complete, the audio will display on the “Files” list. Select it simply and click the “Share” icon. A window will pop up, there you can click “Create a link” icon. The sharable link will appear, just copy it for later usage. 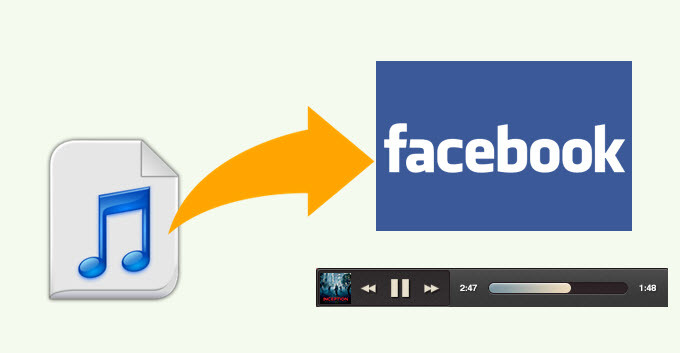 Sign in your Facebook account, paste the link to put audio on Facebook. You can now send the audio to your friends by pasting the link via messages, make it as a post by putting it on your wall, or simply attach it on your profile to make it more unique. Another way for uploading songs to Facebook is to take advantage of SoundCloud – an online audio distribution platform based in Germany. It allows users to upload, record, promote and share their originally created audio via the internet. For your reference, below are the simple instructions on how to upload audio to Facebook. Create a free account on SoundCloud or sign in with your Facebook account. Log in to your account and click the “Upload” button on the top of webpage, then upload the audio file you wish to share. Once done, enter the music information such as genre, tags and description. Scroll down the webpage, tick the checkbox before “Share on Facebook”. Hit the “Save” button, you will be asked to sign in your Facebook account. After that, the audio will automatically post on your page. You can similarly upload audios or MP3s to Facebook manually by copying the SoundCloud provided URL and pasting it on your Facebook page or wall. Both ways for uploading MP3 to Facebook will cost you nothing. Bear in mind that with Dropbox, free users are entitled to upload up to 20GB of files. Now this is huge and you can use it to store not just songs but pictures and videos as well. On the other hand with SoundCloud, you are only allowed to upload a maximum file size of 5GB audio files. If you are into promoting songs, SoundCloud is a nice option because it has a dedicated user fan base. But if you would be uploading audios for fun or experimentation, Dropbox is recommended because you can use the 20GB worth of storage to safe keep your files. A method that did NOT require one to create an account at some third-party service (and maintain a password for it indefinitely) would be helpful.